By law, the U.S. must use 12 billion gallons of renewable fuels such as ethanol next year, up from 10.5 billion in 2009, and use 15 billion gallons by 2015. (Bloomberg) -- The Obama administration today granted a request from ethanol producers to permit higher concentrations of the corn-based fuel additive in gasoline for vehicles made in 2007 and later. The Environmental Protection Agency said it will allow refiners to blend as much as 15 percent ethanol into fuel, up from the current 10 percent. Ethanol producers such as Archer Daniels Midland Co. have pressed the EPA to raise the limit. Opponents, including a coalition of oil companies, automakers and advocacy groups, say adding more ethanol may damage car engines, boost food prices and hurt the environment. The EPA said a decision on the use of E15 in model year 2001 to 2006 vehicles will be made after the agency receives the results of additional testing from the Department of Energy. Those findings are expected to be completed in November. Additionally, the agency said no waiver is being granted this year for E15 use in model year 2000 and older cars and light trucks – or in any motorcycles, heavy-duty vehicles, or non-road engines – because currently there is not testing data to support such a waiver. Since 1979, up to 10 percent ethanol or E10 has been used for all conventional cars and light trucks, and non-road vehicles. The EPA said it will also take several steps to help consumers easily identify the correct fuel for their vehicles and equipment. 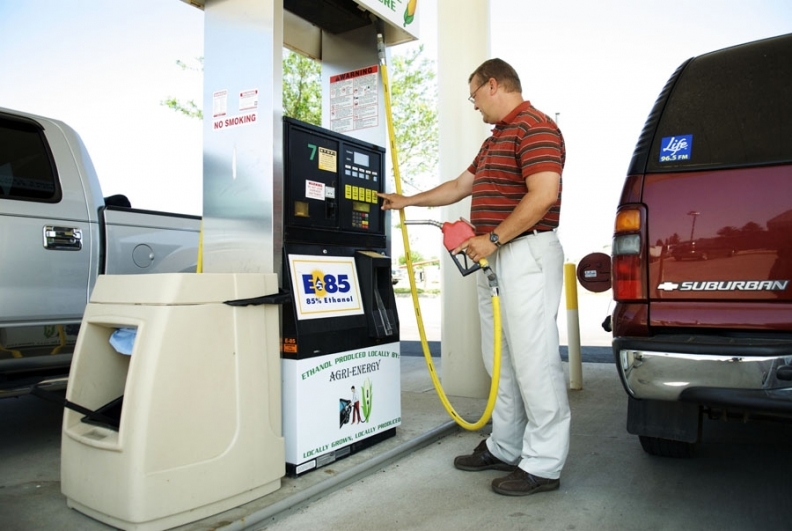 The agency is proposing E15 pump labeling requirements, including a requirement that the fuel industry specify the ethanol content of gasoline sold to retailers. It also has proposed a quarterly survey of retail stations to help ensure gas pumps are properly labeled. The EPA delayed its decision in December, saying it needed more time to conduct tests on the blend. A decision was again postponed in June, prompting Growth Energy, the ethanol-industry trade group seeking the 15 percent blend, to write to President Barack Obama expressing frustration with the process. Raising the “blend ratio” will increase demand. By law, the U.S. must use 12 billion gallons of renewable fuels such as ethanol next year, up from 10.5 billion in 2009, and use 15 billion gallons by 2015. Closely held Poet LLC, based in Sioux Falls, South Dakota, is the largest U.S. ethanol producer, followed by Decatur, Illinois-based Archer Daniels. General Motors Co., Ford Motor Co. and Chrysler LLC have said the government should be cautious about increasing the ethanol percentage in gasoline. AAA, the nation's biggest motoring organization, said in July 2009 the EPA should reject the Growth Energy request because higher blends may damage exhaust systems, engines and fuel pumps and destroy catalytic converters. Valero Energy Corp., the largest U.S. refiner, and Marathon Oil Co., the largest refiner in the Midwest, are concerned selling gasoline with more of the corn-based fuel additive may leave them liable for engine damage, according to company spokesmen.